Vaillant and Worcester-Bosch are two of the UK’s top boiler manufacturers, producing some of the best boilers on the market with the highest efficiency ratings. They come in a wide range of sizes, performance, and models which makes it easy to find a boiler tailored to your central heating and hot water needs. 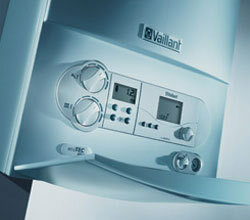 From experience, Vaillant and Worcester-Bosch boilers tend to be the easiest to install, maintain and service. This is due to their parts being widely distributed throughout various suppliers in the country enabling easy access to their boilers and other parts which may be needed. With new building regulations which have effect from 1st October 2010, this means that it will only be legal for Sedbuk A rated boilers to be fitted which operate typically at an efficiency of over 90%. Being two of the first manufacturers to produce high efficiency boilers, Vaillant and Worcester-Bosch provide the best range and quality built boilers in order to comply with regulations without compromising on power. This also means that you get the most out of your boiler whilst lowering your gas bill and your carbon footprint. Both Vaillant and Worcester-Bosch come factory fitted with an integral frost stat to stop the boilers from getting to cold if they were to be fitted in an outhouse, garage, or loft space where the boiler could experience lower temperatures. The display and controls on both boiler brands are very simple, user friendly and aesthetically pleasing. 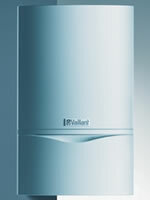 They are easily installed and this makes the transition between old to new boiler even easier.